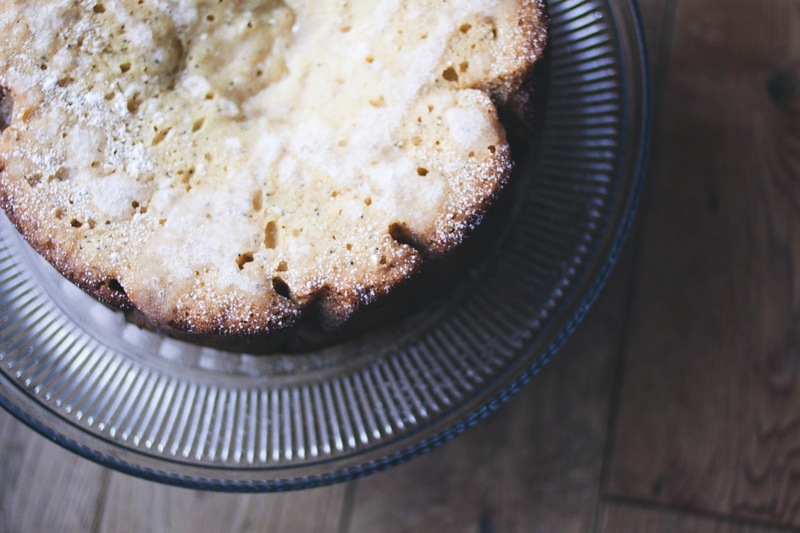 I Love You More Than Carrots: Crockpot Cake: Do or Don't? I've always heard about this kind of sorcery- using one's slow cooker to make desserts and truth be told, I've always been a little leery. Sure, in the past I've used my slow cooker to make enough applesauce to feed a small village but I've never once attempted any sort of baking in it. Perhaps it's because I've never associated my crockpot with sweets- mostly dinner ideas in a pinch. 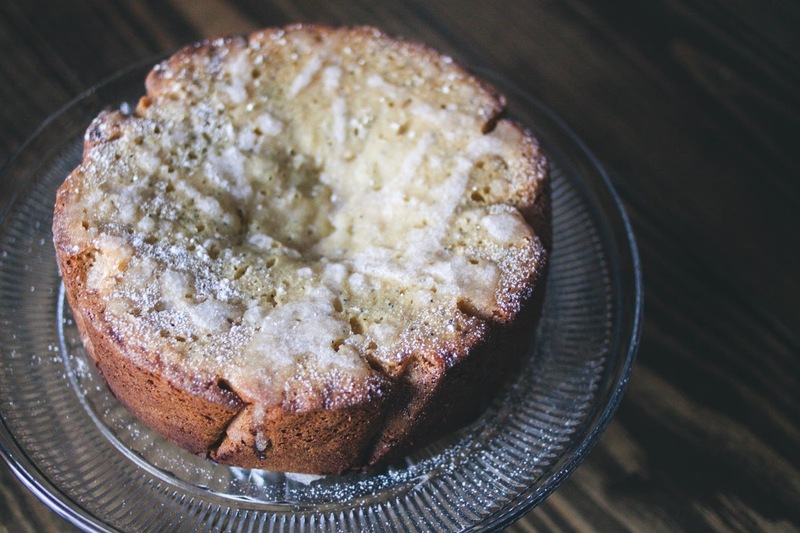 That all changed when I stumbled across Real Simple's recipe for Slow Cooker Lemon Poppyseed Cake. I was sitting down at the kitchen table meal planning for the week (one of my 2016 goals that I got a late start on- March is totally going to be my month) when somehow I went from clicking through "quick and easy weeknight dinners" to "quick and easy dessert ideas." 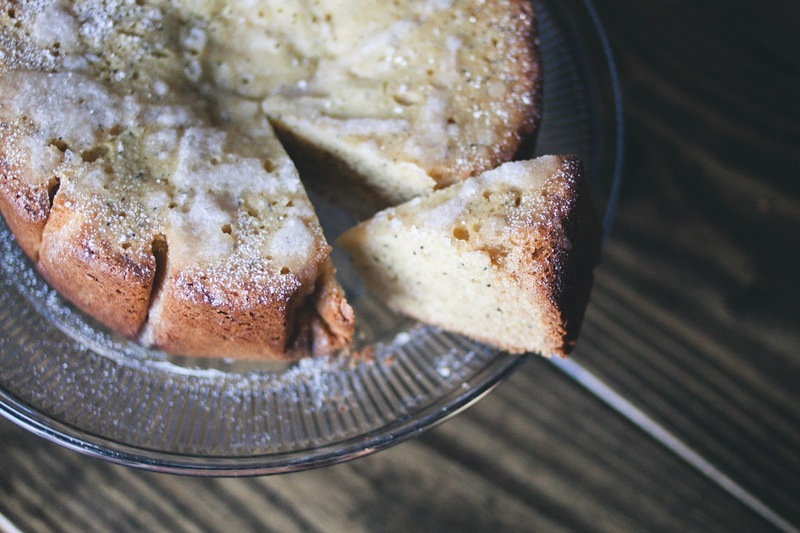 With a coffee date planned for early in the week, the Lemon Poppyseed cake sounded like a divine idea. Something sweet and delicious that would pair well with coffee that I wouldn't have to wake up even earlier to bake ahead of time. I scribbled down the few ingredients I would need from the store and set my mind to testing out a little slow-cooker baking. The results were out of this world. In fact, I never would have guessed that the cake came from a crockpot. It was so sponge-like and moist that, had I not be the one to prepare it, I would be certain it took hours of meticulous preparation and baking. Needless to say, I'm a crockpot baking convert as I've already stashed away several new recipes for use in the coming weeks. Cockpot Cake is a definite DO! In a bowl, combine the flour, cornmeal, baking powder, baking soda, and salt. In another bowl, using either a stand or hand mixer, beat the butter and 1 1/4 cups of the granulated sugar on medium-high until smooth. Add the eggs and beat until fluffy, 2 minutes. Add the sour cream, vanilla, lemon zest, and poppy seeds and beat to combine. Reduce speed to low and slowly incorporate the flour mixture. Place a 15-inch piece of parchment paper in the bowl of a slow cooker, letting the excess come up the sides. Transfer the batter into the bowl of the slow cooker. Set the cooker to high and cook, covered, until set and a skewer inserted in the center comes out clean, about 2 1/2 hours. I ended up cooking mine for 2 hours, 15 minutes- be sure to be alert and attentive after the two hour mark. Holding the parchment paper, transfer the cake to a rack. 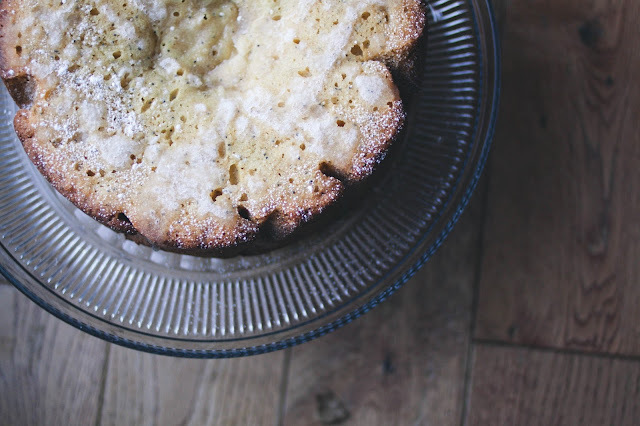 Combine the lemon juice and the remaining granulated sugar in a bowl and drizzle evenly over the top of the cake. Let cool for at least 15 minutes. Dust with the confectioners' sugar and serve with the whipped cream and berries, if desired. Looks delicious! I love using my crockpot so I'll have to try my hand at desserts. Will definitely have to try this out! This looks divine. I am a complete sucker for anything lemon. As a matter of fact, I'm devouring a Lemonade Girl Scout Cookie as I'm typing this and it is SO. GOOD. Thank you for sharing!